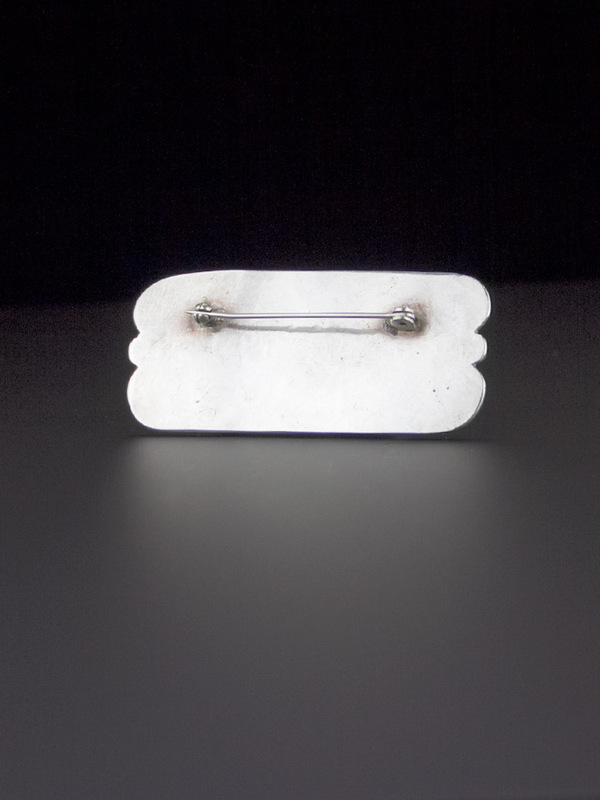 Simple, elegant and weighty hand hammered 1950's Mexican sterling brooch. 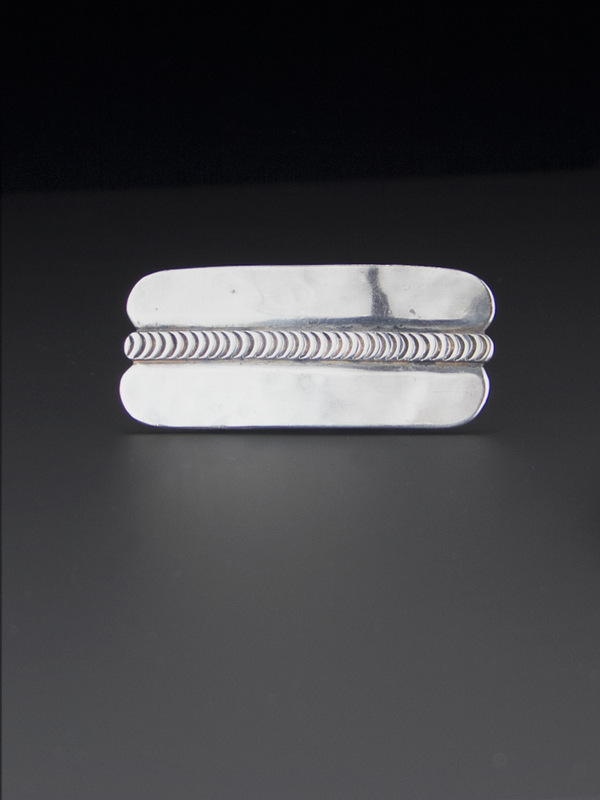 SImple curved design, this brooch is very large, safety clasp back - and an excellent weight of sterling silver. None, acid tests positive for sterling. Spectacular vintage condition. Shows mild wear commensurate with age, no dings or chips, will come with some patina, as level of polish is a matter of taste. 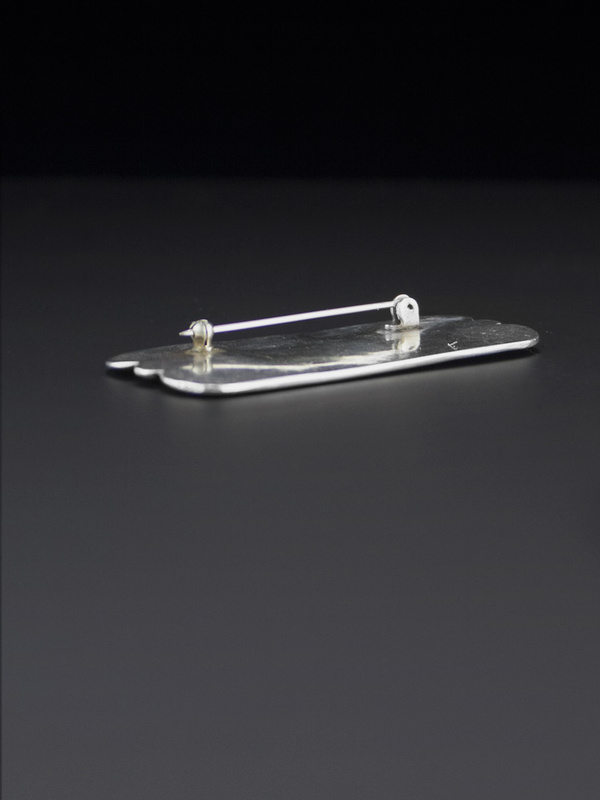 Has a handcrafted look to it - amazing vintage brooch.